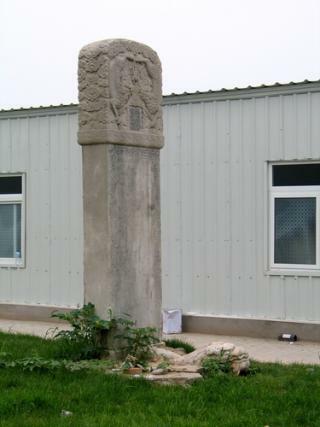 The tombstone of Wu Nuchun is located at Olympic Forest Park, the third one from the east on the map indicated above. This tombstone was established for Wu Nuchun, a third tier official in Qing Dynasty. According to the partial engraved words on the stone, the tombstone was established in the 33th years of Emperor Kangxi period (1696), and the official title was conferred in the 6th year of Emperor Kangxi period (1667); however, a detailed biography of Wu cannot be found through history records.